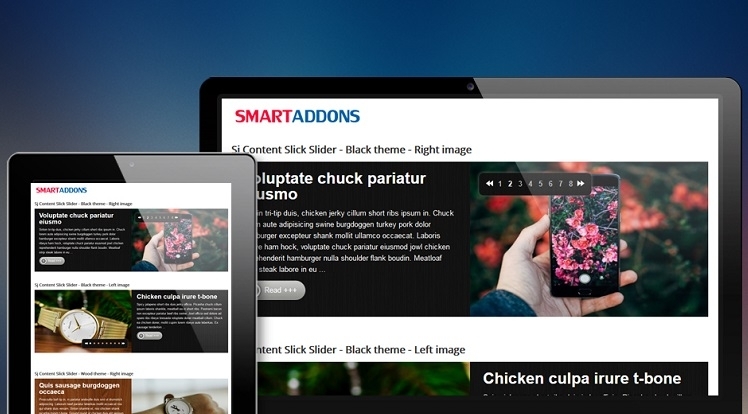 SJ Content Slick Slider is a great module for Content Component in Joomla. The module supports a lot of options for you to configure as you want, 2 themes, 2 layouts and 25 effects, your website will certainly look better. 16. Support the link to image and title. + Joomla 2.5 and 3.x Compatible!